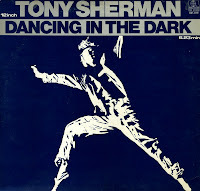 Tony Sherman's version of 'Dancing in the dark' was released in 1983, shortly after Kim Wilde's version. The song was unsuccessful in both versions, but Tony Sherman's version was only released in the Netherlands. Last year I found the 12" single, but I've had the 7" single for a few years already. 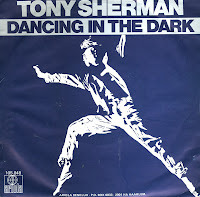 I found out about Tony Sherman's cover of 'Dancing in the dark' more than a decade after it was released. It was released in the same year as Kim Wilde's version, in 1983. Kim's version wasn't a hit, and neither was Tony Sherman's version. But a 12" single was released, and that was an item worth searching for. Well, the search went on and on... but the disc never surfaced. Imagine my surprise when I finally found it, just two weeks ago, in my hometown! A very rare item, even if the music isn't very exciting.